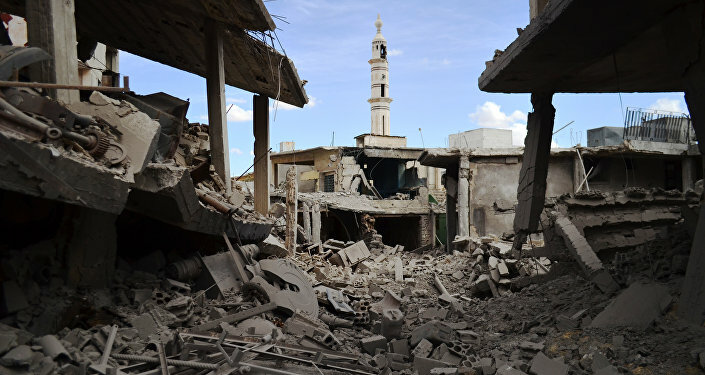 The Western response to the Russian air campaign in Syria provokes a sense of deja vu. In every respect it is identical to the Western response to the Russian campaign in Chechnya in 1999. In the weeks following the start of that campaign Western pundits made a host of claims and predictions. They claimed the Russian airforce was bombing civilians, and accused Russia’s leadership of war crimes. They said Russian military action would radicalise the population, turning it against Russia. They predicted more terrorist attacks against Russia, and predicted Russia’s defeat. All these claims and predictions proved wrong. The local population was not radicalised. Instead it supported the restoration of orderly government and the defeat of jihadism and terrorism. The people who now fight jihadism and terrorism in the Caucasus are principally local people. The Russian military campaign did not fail. Instead it succeeded, so that Chechnya is now peaceful and stable. As for the war provoking more jihadi terrorism against Russia, jihadi terrorism against Russia began before the military campaign was launched. It was the terrorism that caused Russia to launch the campaign, and it has steadily diminished since. Notwithstanding the proven falsity of the claims they made at the start of the Russian campaign in Chechnya in 1999, and the complete failure of all their predictions, the same Western pundits are now busy making the same claims and predictions at the start of the Russian air campaign in Syria. Once again they claim the Russian airforce is bombing civilians — even though evidence of that is scarce, to say the least. Once more they say the Russian bombing will “radicalise” the population and turn it against Russia. Once more they threaten Russia with increased jihadi terrorism, and predict the failure of the Russian air campaign. I am not a prophet. I do not how this will turn out. I do question however why those who proved wrong before should be expected to be proved right this time. It seems to me Western pundits are making the same mistake now about Syria they made about Chechnya before. They assume recklessly that local people prefer terrorism and violent jihadism to peace and orderly government. They fantasise about the existence of a “third force” consisting of people opposing the government and those fighting it whom they also also oppose. That this “third force” has no existence outside their imaginations was proved true in Chechnya, as it had previously proved true in Vietnam, and is undoubtedly true in Syria today. The US admits it. The latest opinion poll in Syria and Iraq exposes the extent of their mistake. It shows very low support for the Islamic State in Iraq, and low support for the Islamic State in Syria. It shows overwhelming majorities of Syrians and Iraqis reject sectarianism, want their countries to remain united, and believe the Islamic State is a creation of the US. It shows a very wide belief in Syria that conditions were better before the war. Given the danger of speaking out against the Islamic State in the areas it controls, the poll almost certainly underestimates the extent of opposition to it. It shows a clear majority of Syrians support a position in all essentials identical to that of the Russian government: an end to the war, the defeat of jihadi terrorists, a return to peaceful conditions, and negotiations without preconditions between Syria’s factions. Which points to the real fear of Western pundits. This is not that Russia will fail in Syria, making the situation worse. As in Chechnya, their real fear is Russia will succeed, making it better.